Last May on a short break I saw a stout gentleman with a A900 and 18-55(I think) around his neck.When I spoke to him,it was apparent he was German.We exchanged a few words,as much as my rusty German would allow and parted. I saw him several times during the day and not once did I see him use the camera.Curious. Hi Dave - welcome to the forum . I must admit that sometimes I go out with my camera, fully intending to take a shot or two, but never get inspired to actually press the shutter. Perhaps he was haing an off day! A strange combination as I thought that 18-55 was APS-C only, may be not. I think the A850/A900 have the option of using APS-C lenses with reduced coverage, and I know Glenn on this focum has some wonderful 18-55 shots. I hope we can look forward to seeing some of your St. Ives pictures. I viisted there last July and it has lots of photo opportunities. Thank you.You`re quite right of course,the 18-55 is APS.C only.He had his hand resting on top of the camera so although it was clearly a 900,I didn`t see the lens well enough. 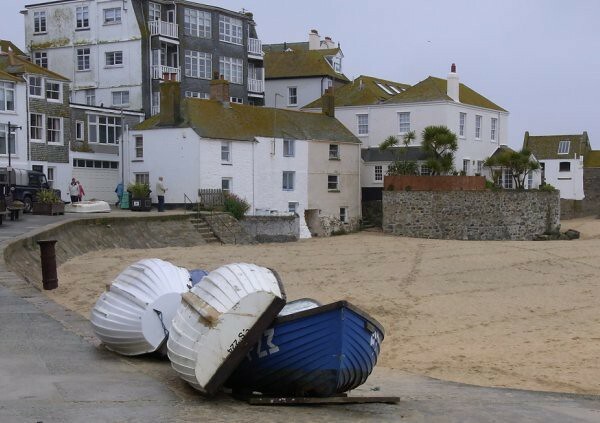 Unfortunately, the only day we had in St Ives was gray and drizzly so nothing much to shout about. I hope the link works and I`ve not transgressed by posting it. I clicked your link and right-clicked on your shot, selected "copy image location" (on Firefox) and getting back here I clicked "Post reply". You'll be addressed to a new page where you'll notice a big blank window (where you have to write your text) and above it small gray boxes. click on the one written "Img"
Thank you for the lesson.Quite easy really.